The Üllo wine purifier removes sulfites from wine without affecting its flavor. 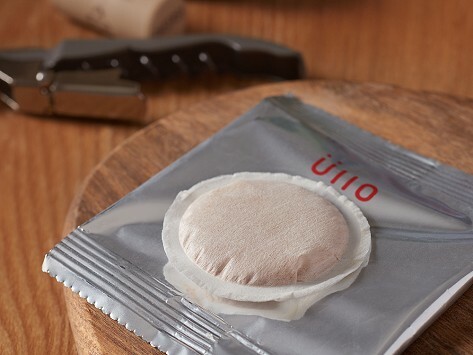 A refill pack of ten sulfite filters will have you always ready to enjoy a preservative-free glass (or bottle) of wine that tastes as good as it should. Made in the USA. Dimensions: 3.7" x 3.7" x 5"
I can really tell a difference with how I feel when I drink a glass of wine! It is hard to see which side is the flat side?? They could have marked the outside of the packaging! !